Lunatics. An ugly word now, but was the common description given in the 19th and early 20th century to people with mental illnesses. A few miles from my home stood a large psychiatric hospital. 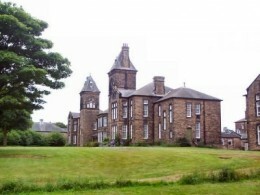 It opened in 1888 as ‘The West Riding Pauper Lunatic Asylum’ and housed a large population of people with mental illness. For many detained there, it was where they lived – and died – their bodies abandoned and unclaimed by relatives; their lives forgotten by the world. When the institution, renamed in the 1960s as ‘High Royds Psychiatric Hospital’, closed in 2003, over 2,861 former patients remained – buried nearby in unmarked paupers graves. The faces you will see here are just some of the patients who lived and died in the Asylum. This article is in memory of their lives. (Images: taken by me from my own books on this topic. The anguished face of Frederick Smithson is shown in this introduction). The Lunacy Act, 1845, in Britain, required people exhibiting symptoms of mental illness to be certified by two doctors before they could be detailed. The Act led to the rise of institutions to contain ‘lunatics’, as they were called, and the increasing scientific study of the treatment for mental illness. In 1888 the West Yorkshire Pauper Lunatic Asylum (see photograph, right) was opened to accommodate the destitute mentally ill, who were transferred from workhouses in West Yorkshire, sent there by the courts, or referred there by doctors or the relatives of the ill person. These were the poorest of the poor, and the reasons for their admittance – carefully documented by the hospital – included religious or sexual ‘frenzy’, including bearing illegitimate children; dementia, manic or strange behaviour, or withdrawal from the world. 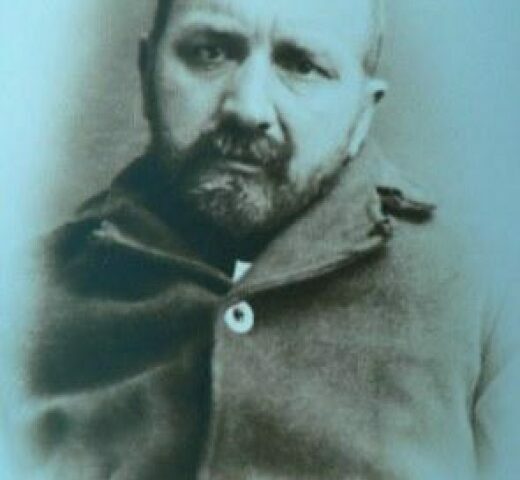 It is not surprising that many cracked under the strain of living desperate existence in Victorian England, or driven to despair by their lives in the workhouses – to be sent to the ‘bastilles’ (workhouses) was a crushing blow to the self-dignity of most. In 1890 a two-acre cemetery was opened adjacent to the asylum. By the time it closed in 1969, it was recorded that 2,858 former patients had been buried there – all in pauper’s graves; forsaken and forgotten by the world. When the patients died, attempts were made to contact relatives to see if they wanted to make their own private burial arrangements. But many relatives could not be traced, or could not afford to bury the deceased themselves – or did not want to admit to the neighbours that they had had a relative in an asylum. So at the pauper’s burial, the deceased was laid in a plain pine coffin and buried, often with just a clergyman and grave-digger in attendance. These dead people would still be forgotten today, but for the work of a few local people, determined not to let this happen. 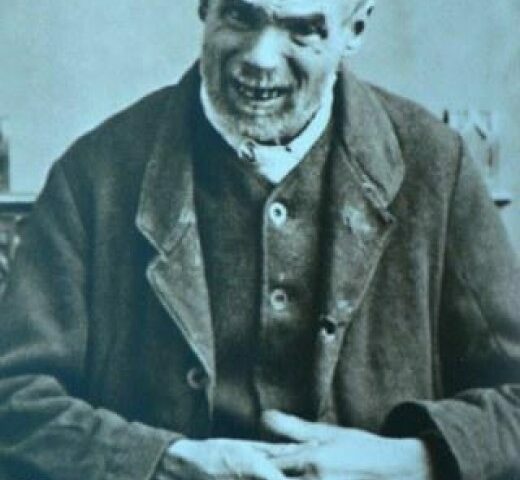 Mark Davis and Marina Kidd, who wrote the book: Voices from the Asylum (2013), published by Amberley Publishing (UK), and unearthed the medical records and photographs of the patients, taken on, or close to, their admittance to the institution. “Patient is surly and uncommunicative … will not reply to questions, meeting them with silence”. 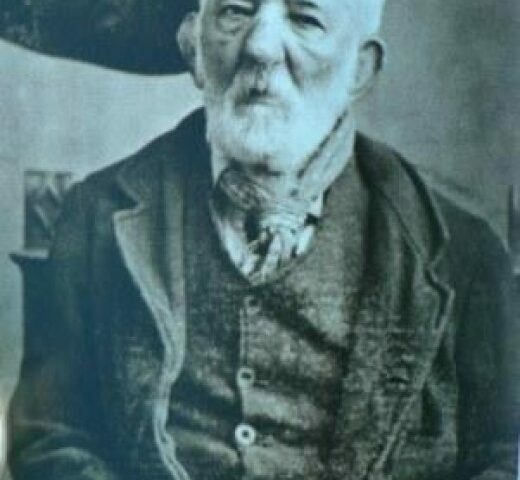 Michael was born in Ireland and worked as a labourer before falling on hard times. 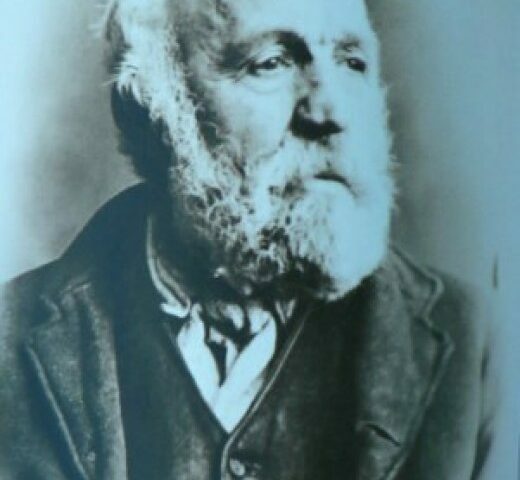 He was admitted to the asylum in 1889, aged 43, from Bradford Union Workhouse, where the staff could not cope with his behaviour. “He is quite insane and maniacal. 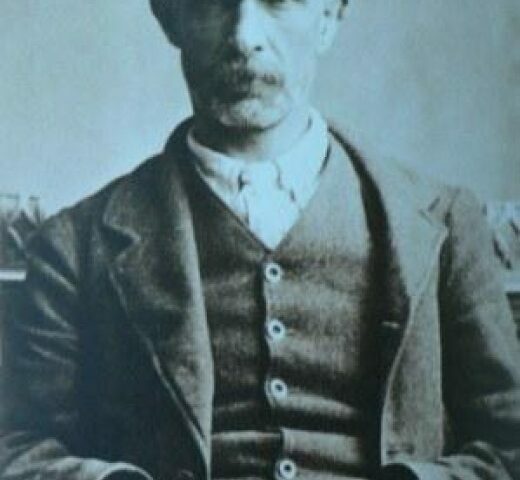 Raves and shouts and gesticulates …full of delusions about himself … that he is first cousin to Jack the Ripper. 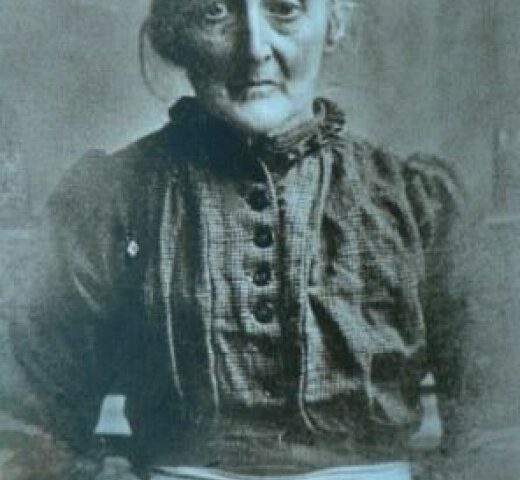 Catherine was 38 years when she was admitted to the asylum in 1911 from Bradford Union Workhouse. 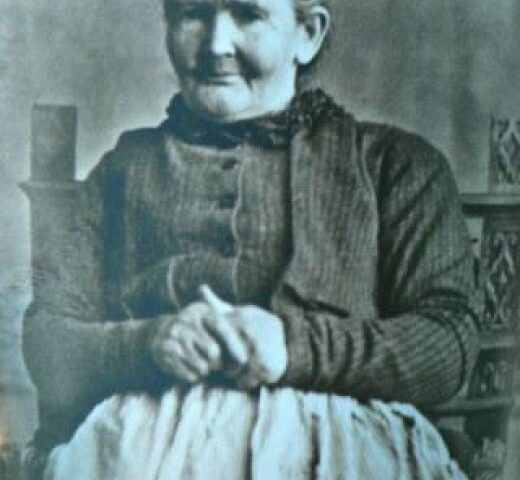 She stayed there for 36 years until her death in 1947. Was Catherine ‘mad’; a ‘lunatic’? Or a woman completely frustrated and maddened by her inability to communicate and incarceration in the workhouse, then the asylum? 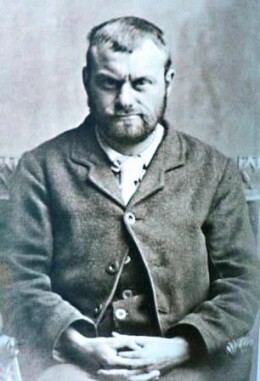 Ernest was admitted to the asylum in 1907, aged 27 years. 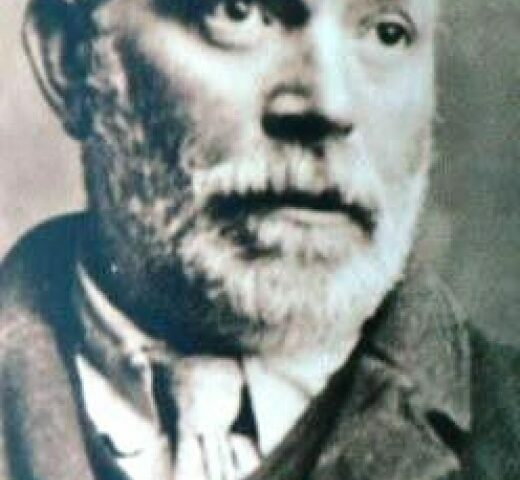 He was a textile dyer by trade, but his alcoholism and subsequent unemployment had led him to be sent to Bradford Union Workhouse. 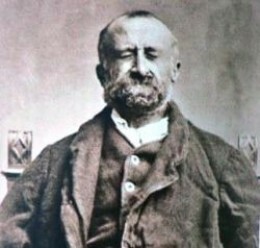 However, his hallucinations and delusional behaviour at the workhouse, probably the result of his drinking, led to his committal in the asylum. 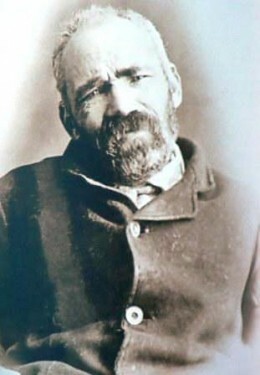 At the asylum his health improved, but he was never discharged and stayed there for 53 years before his death in 1960. 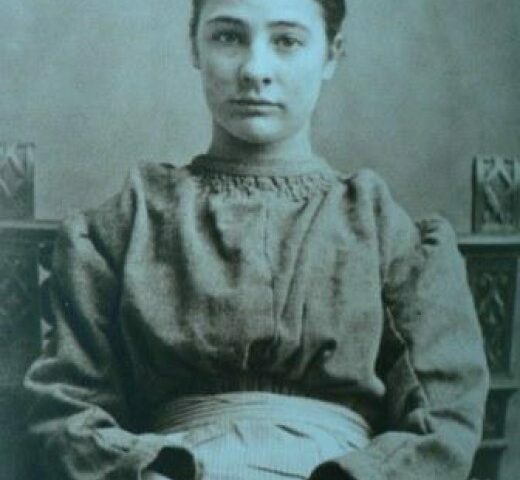 Mabel was 28 years when she was admitted to the asylum in 1909, diagnosed with ‘Chronic Mania’: a catch-all and convenient term for anyone who often raged furiously, to the alarm of others. 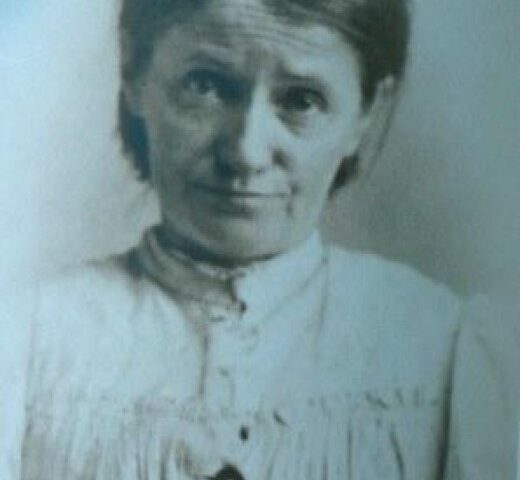 However, Mabel had been infected with syphilis, probably by her husband, a disease that would eventually kill her. This was discovered at her post-mortem. 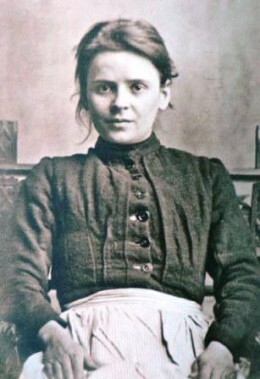 She died at the asylum in 1915. 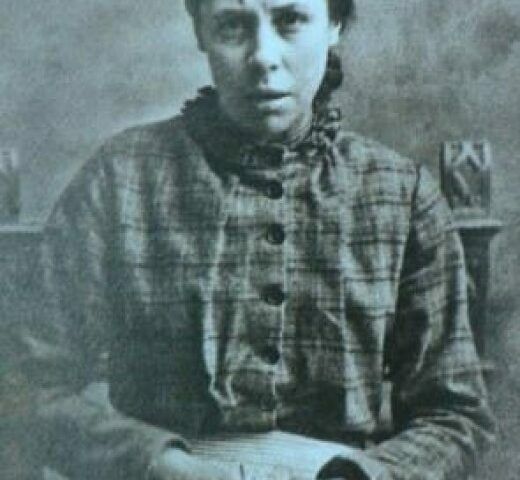 Her unclaimed body was buried in row 20, grave 13, along with three other paupers. The anxious face of Elizabeth Davies, aged 24 years, peers into the camera. 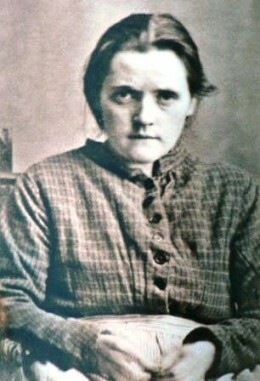 She was referred to the asylum by her relatives in 1909. 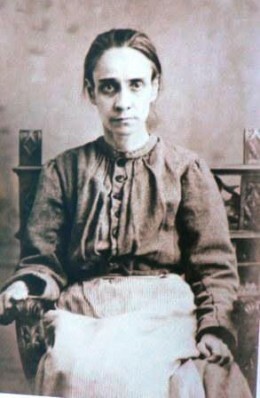 Her condition deteriorated at the asylum and she was unable to work, apart from occasional and light work in the laundry. 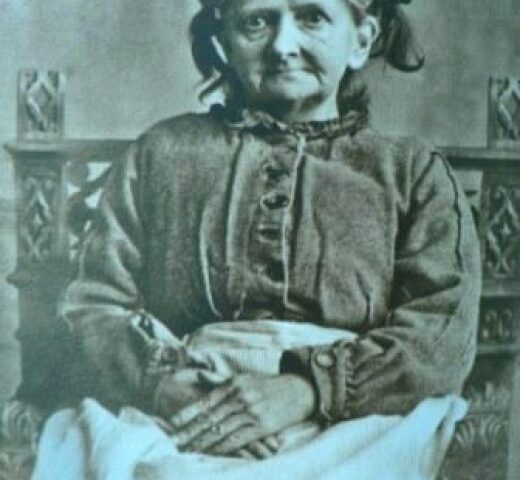 She stayed at the asylum for 40 years, dying there in 1948. By the 1920s, the Asylum had been renamed ‘Menston Mental Hospital’ and attempts made to make life as humane as possible for the patients. It had a library, a surgery and dispensary, and its own tailoring, upholstering and shoe repair shop. In the late 1920s cinema films were introduced, as well as Friday evening dances, where the male and female dancers were strictly supervised. Every December there was an eagerly anticipated Christmas Ball for all the patients, plus invited local dignitaries. Patients were expected to work: sewing, laundry, gardening, or cleaning, whatever they were capable of. And the cleaning of the wards was a cooperative enterprise between the patients and their ward nurses. The hospital became crowded in the 1920s and 30s, including the admittance of male patients with war related traumas, and the dormitories were packed tight with beds, allowing no space for bedside cabinets. 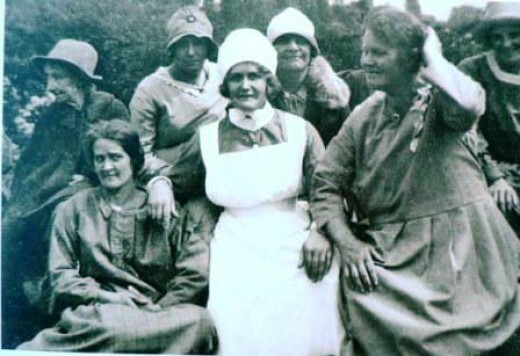 The nurses – one is shown here in the photograph above – had to live at the hospital for three years until they could live independently and were not allowed to marry. If they did, they were required to resign. The conditions of patients were regularly monitored and over the lifetime of the hospital there was an overall 50 per cent patient discharge rate back to their families. However, particularly in the first fifty years of the institution’s life, many patients who had recovered their health had to stay – for lack of anywhere else to go. In the 1920s and 30s, drugs administered to patients were designed to quiet them down – bromide, paraldehyde, and occasionally small doses of cocaine were administered. The advent of the post-war National Health Service in Britain saw great advances in the treatment of mental patients, advanced by knowledge gained of nursing traumatised soldiers in both world wars. However, before the hospital finally closed in 2003, it was the subject of close media scrutiny and controversy for its treatment of patients by ECT, and even lobotomy surgery, during the 1970s. The hospital closed in 2003 and began to fall into disrepair until it was converted to private housing in 2010. Following a local campaign, the cemetery and adjacent chapel of rest were restored in 2012 and a plaque commemorates the lives of those still buried there today. See link below for more information on the restoration. Blog commemorating reopening of chapel and restoration of hospital cemetery. Colin, I read that ‘lunatics’ were big business in Victorian England. Companies funded by the rich created ‘asylums’ (as money-making ventures) and inmates included anyone who deviated from the norm, to the extent of pickpockets, minor criminals and the aforementioned ladies for reasons of ‘moral turpitude’. Also in those days, men could get rid of unwanted wives (without the scandal of divorce) in favour of their mistresses simply by asserting that their wives were ‘insane’. This could be because of an an interest in subjects such as spiritualism, feminism, dancing or the arts! Yes Jackie. On your last point, the short story ‘The Yellow Wallpaper’ by Charlotte Perkins Gilman, first published in January 1892, looks at how female ‘hysteria’ was regarded (with fear)in the late 19th century. Although the story is American the attitudes were certainly applicable, and writ large, to Victorian England. I read this with such sadness for the suffering these human beings endured. It seems as though, eventually, at least, some of their attendants cared for them and provided for them as best they could, under what must surely have been appalling circumstances and conditions. Thank you for the story and for the photographs. I felt almost as if I were looking into the heart of some of these folks. To think that, for a woman, merely having a baby out of wedlock was enough to have her incarcerated for life and branded a lunatic. Sometimes I think some of our politicians must hail from such times! Kathryn, I remember a local story in the 70s or 80s in which two women were found in the local mental hospital (as they were called in those days) who had been sent there because they’d both had an illegitimate child when they were younger. By the time the story broke, they were elderly and had spent the majority of their lives in the facility. Appaling.